Home » Tamil » News » After Karthik Subbaraj, Rajinikanth to team up with AR Murugadoss? After Karthik Subbaraj, Rajinikanth to team up with AR Murugadoss? 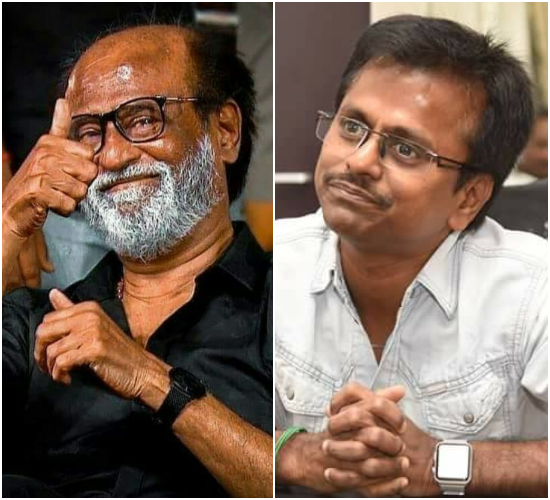 Latest reports reveal that Rajinikanth recently met A.R.Murugadoss and the duo have locked a script which was narrated by the filmmaker long ago. Superstar Rajinikanth got back to hit form with his recent release Kaala directed by Pa Ranjith. A political drama, Kaala has Rajinikanth playing a slumlord who fights for the rights for the people of his community. Kaala has turned out to be a blockbuster hit much to the jo of fans of the superstar. Rajinikanth will next collaborate with young filmmaker Karthik Subbaraj which is yet to be titled. To be produced by Sun Pictures, this yet untitled film is currently being shot in Dehradun with Rajinikanth being part of the schedule. And while all this is happening, buzz in Tamil film circles is that Rajinikanth may next team up with A.R.Murugadoss. Latest reports reveal that Rajinikanth recently met A.R.Murugadoss and the duo have locked a script which was narrated by the filmmaker long ago. It will be interesting to see if this film too would have any political them to like Kaala had. Rajinikanth is currently in Dehradun shooting for the yet untitled film with Karthik Subbaraj. The shooting began recently before the release of Kaala. The Sun Pictures production will also star Vijay Sethupathi in a crucial role and will be the young actor’s first time collaboration with Rajinikanth. Speaking about it, Vijay Sethupathi had recently said that he signed the film without thinking twice for two reasons – blind trust on Karthik Subbaraj and a chance to work with superstar Rajinikanth. Vijay Sethupathi also adds that he would get to learn a lot working with a veteran like Rajinikanth which will help him grow as an actor. Speaking to a leading Tamil daily, Vijay Sethupathi revealed his excitement about the film and said is looking forward to it. It is also being reported that Vijay Sethupathi would be seen playing the antagonist in this untitled film which is said to be going on floors towards the end of this year. It is being expected that more details about the film will be revealed soon.